FRESHLY PAINTED INTERIOR! 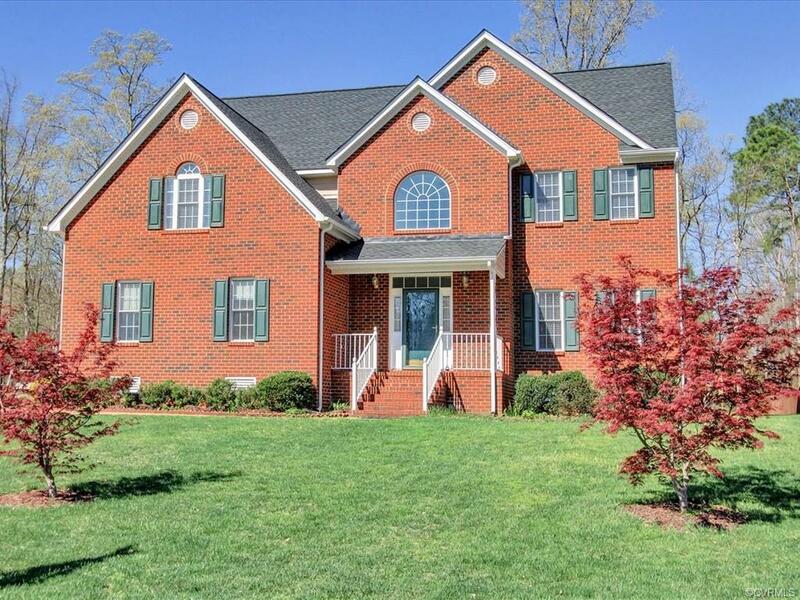 Beautiful brick transitional colonial home featuring 5 BDRMS, 3.5 baths including a FIRST FLOOR BDRM with full bath & WIC for guests/in-laws, with 2.5 car garage in the Lexington Subdivision. The open, eat-in kitchen has plenty of cabinets & granite counter space. The kitchen & breakfast nook open to a spacious family room with gas fireplace and access to the deck, which make it perfect to entertain family and guests. As an added bonus, enjoy rising to the warm morning sun rays peeping through the windows, having breakfast, while listening to the birds singing. The mature trees surrounding the property, provide shade in the afternoon/evening keeping the home cool on summer nights. This home further offers recessed lighting, crown & chair rail molding, HRWD, well insulated, roof replaced in the summer of 2018 with ridge vent, 30 year GAF shingles, three zone sprinkler system including one of the HVAC systems is approximately 3 years old. Quite neighborhood with easy access to I-64 and 295, close to major shopping and restaurants, Springfield Park Elementary School, several parks and lakes within close proximity. Don't delay and make your appointment today!